Showing results by author "Theatre Royal"
Fully restored and remastered, Heritage Media presents the greatest of vintage artists in classic dramas from English and Irish Literature. Here is the legendary Ralph Richardson starring in ‘A Sentimental Journey’, adapted from the original tale by Laurence Sterne and the legendary Margaret Lockwood starring in 'Becky Sharpe' adapted from ‘Vanity Fair’, the original tale by William Makepeace Thackeray. Theatre Royal is a unique series of classic radio dramas produced in the 1950's by the late Harry Alan Towers. 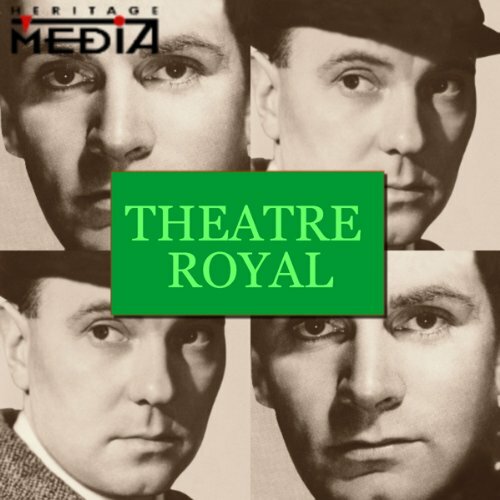 Fully restored and remastered, Heritage Media presents the greatest of vintage artists in classic dramas from English and Irish Literature. Here is the legendary Laurence Olivier starring in ‘The Canterville Ghost’, adapted from the original tale by Oscar Wilde and Laurence Olivier starring in 'Lord Arthur Savill's Crime' adapted from the original tale by Oscar Wilde.Theatre Royal is a unique series of classic radio dramas produced in the 1950's by the late Harry Alan Towers. Fully restored and remastered, Heritage Media presents the greatest of vintage artists in classic dramas from the literature of France. Here is the legendary Laurence Olivier starring in ‘The Purse’, adapted from the original tale by Honore de Balzac and Laurence Olivier starring in 'Zaramfeski's Duel' adapted from the original tale by Alexandre Dumas.Theatre Royal is a unique series of classic radio dramas produced in the 1950's by the late Harry Alan Towers. Fully restored and remastered, Heritage Media presents the greatest of vintage artists in classic dramas from Robert Louis Stevenson and H.G. Wells. Here is the legendary Alec Guinness starring in ‘The Man Who Could work Miracles’ adapted from the original tale by H.G. Wells and Laurence Olivier starring in 'The Suicide Club' adapted from the original tale by Robert Louis Stevenson. 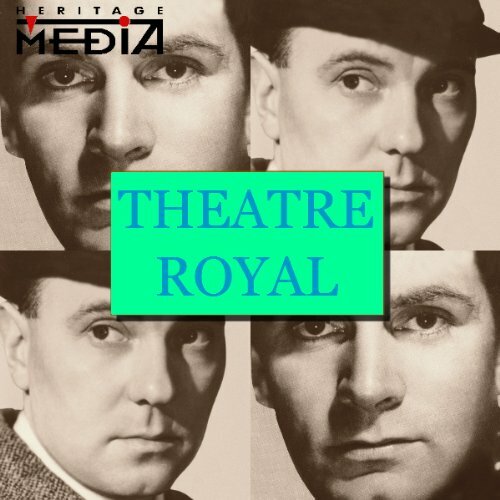 Theatre Royal is a unique series of classic radio dramas produced in the 1950s by the late Harry Alan Towers. Fully restored and remastered, Heritage Media presents the greatest of vintage artists in classic dramas of the early America’s. Here is the legendary Ralph Richardson starring in ‘The Liar’ and 'Four Meetings' adapted from the original story by Henry James.Theatre Royal is a unique series of classic radio dramas produced in the 1950's by the late Harry Alan Towers. Starring the leading theatre artists of the day it is the only series of radio dramas in which Laurence Olivier ever appeared. Fully restored and remastered, Heritage Media presents the greatest of vintage artists in classic dramas from Robert Louis Stevenson. Here is the legendary Laurence Olivier starring in ‘Markheim’ and 'Dr Jekyll and Mr. Hyde' adapted from the original tales by Robert Louis Stevenson and the legendary Robert Donat, starring in 'Sire de Maltroit's Door' adapted from the original tale by Robert Louis Stevenson. Fully restored and remastered, Heritage Media presents the greatest of vintage artists in classic dramas based on the tales of Charles Dickens. Here is the legendary Laurence Olivier starring in ‘The Case of Bardell vs Pickwick’, adapted from Charles Dickens' original 'Pickwick Papers' and Laurence Olivier starring in 'Sydney Carton' adapted from Charles Dickens' Original 'A Tale of Two Cities'.Theatre Royal is a unique series of classic radio dramas produced in the 1950's by the late Harry Alan Towers. Fully restored and remastered, Heritage Media presents the greatest of vintage artists in classic dramas based on the tales of Charles Dickens. Here is the legendary Laurence Olivier starring in ‘Mr Micawber's Difficulties’, adapted from Charles Dickens' original 'David Copperfield' and Laurence Olivier starring in 'A Christmas Carol' adapted from Charles Dickens' original 'A Christmas Carol'.Theatre Royal is a unique series of classic radio dramas produced in the 1950's by the late Harry Alan Towers. Fully restored and remastered, Heritage Media presents the greatest of vintage artists in classic dramas of the early America’s. Here is the legendary Laurence Olivier starring in ‘The Country of the Blind’, adapted from the original tale by H. G. Wells and ‘Bartelby’ adapted by Herman Melville.Theatre Royal is a unique series of classic radio dramas produced in the 1950s by the late Harry Alan Towers. Fully restored and remastered, Heritage Media presents the greatest of vintage artists in classic dramas of the early America’s. Here is the legendary Laurence Olivier starring in ‘The Luck of Roaring Camp’, adapted from the original tale by Bret Harte and ‘The Outcasts of Poker Flat’ also adapted by Bret Harte.Theatre Royal is a unique series of classic radio dramas produced in the 1950's by the late Harry Alan Towers.